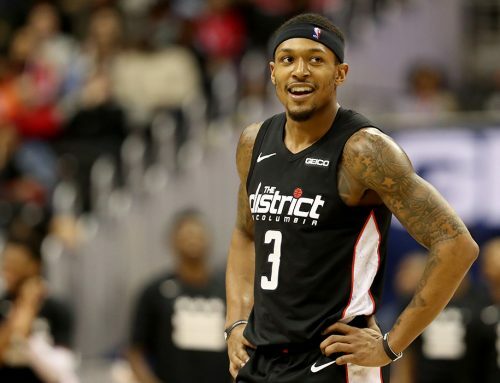 Bradley Beal and the Washington Wizards continued their battle for playoff positioning in the Eastern Conference on Tuesday, going on the road to defeat the Milwaukee Bucks. A hot start propelled the Wizards to a 40-22 lead after the first quarter, after beginning the game on a 14-0 run. The Bucks would make a late push, in part because of some staunch defense from the lengthy Giannis Antetokounmpo, who recorded six blocks. But the Wizards never relinquished their lead and led from wire-to-wire. 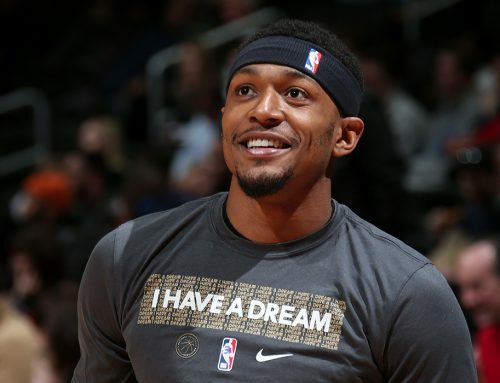 The Panda turned in another solid performance in his All-Star season, posting 21 points, eight assists and seven rebounds. In the final minute, Brad stepped up and drained a three to increase the Wizards’ lead to five and all but seal the win. The Wiz would hang on for a 107-104 victory over the sixth-place team in the East. BB was clutch down the stretch for Washington, knocking down a number of shots to halt Milwaukee’s momentum and preserve their lead. The Wizards evened the season series with Milwaukee at two games a piece, and perhaps more importantly, the win by the Wizards moves them a half of a game behind the Cleveland Cavaliers for third place in the Eastern Conference standings with 21 games remaining. The fact that this team has been able to produce without John Wall for the last few weeks should bode well when Wall returns in time for the playoffs. 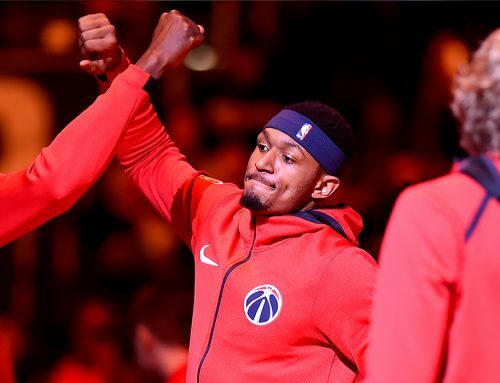 Guys like Kelly Oubre Jr. and Otto Porter Jr. have stepped it up in Wall’s absence, which will give them added weapons when the postseason begins in April. For now, the Wizards are just focused on the next game. They have a quick turnaround as they host the defending champion Golden State Warriors tonight in Capital One Arena on their second night of a back-to-back. Playing the Warriors, led by Stephen Curry and Kevin Durant, will be a good measuring stick on where this Wizards team currently stands. Brad and his teammates, who have won 10 of their last 13 games, will attempt to avenge their three-point October loss to the Warriors earlier this season. The game will again be nationally televised with tip-off slated for 8pm ET on ESPN.